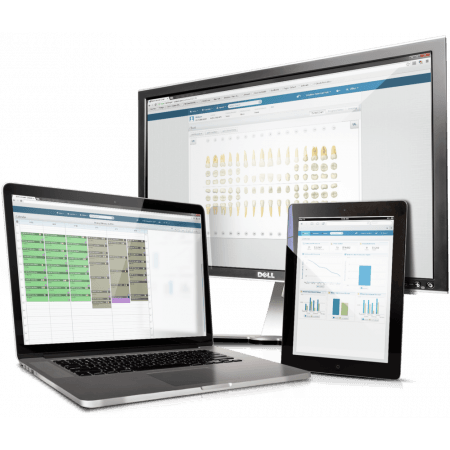 Henry Schein Dentrix Ascend is a cloud-based solution that completely reimagines dental practice management. A totally new system built from the ground up, Dentrix Ascend offers an all-in-one product that includes features such appointment reminders and insurance claims built right into the software so you don’t have to add third-party applications. You can use Dentrix Ascend on a PC, Mac or any tablet through the Google Chrome browser, and it’s optimized for the Apple iPad.